Four months ago, one grumpy customer of The Hamlet Diner in Chittenango, a retired police officer who was a regular of the establishment since current Owner Dawn McCarthy took it over three years ago with her daughter Alexandria Ciotti, was given a cupcake from their special pastry case to take home. The next day, he called to tell them that they should call their pastry case the “Feel Good Bakery” because he “felt good all day,” said McCarthy. That’s when they told him that cupcake was infused with CBD oil, a concentrated extract of CBD — a compound of marijuana. At first he was angry, but after McCarthy explained what the legal oil was, and its benefits, he now has a cupcake nearly every day, she said. With results ranging from chronic pain relief to a good night’s sleep, customers from “every corner of the nation” have been visiting this micro-bakery called the “Feel Good” Bakery, located right in the corner of The Hamlet Diner. This bakery case is stocked with CBD oil-infused pastries like red wine chocolate “drunken” cupcakes, peanut butter and grape jelly cupcakes, triple berry cheesecakes and includes gluten-free options like pineapple upside down cakes and vanilla marshmallow cupcakes with peanut butter chips — all of which are available for customers 18 and older and baked on site several times a week by McCarthy and Ciotti, who believe they are baking Central New York’s first CBD edibles for public purchase. McCarthy said The Hamlet Diner, known for its “designer” pancakes and homemade cakes and pies, has experienced a 30 percent increase in customers after experimenting with the hemp-derived, non-psychoactive oil and showcasing their cupcakes with CBD on the diner’s Instagram and Facebook pages last October, sending their order rates and follower counts to skyrocket. Though a bit pricier than regular cupcakes — $5 for CBD cupcakes and $6.50 for gluten-free CBD cupcakes — the pair crank out about 60 of these cupcakes every other day, disappearing as soon as they hit the shelves, sometimes even before then, as most customers pre-order by phone. The diner, which McCarthy and Ciotti operate with their husbands Tom McCarthy, the lead cook, and Marcello Ciotti, uses CBD oil from Head + Heal, a Cortland-based company that derives its oil from organically-grown hemp processed in Central New York. “[CBD and THC] are totally different things and have different effects,” said McCarthy. While individual results vary, some studies have shown that CBD may help with some forms of epilepsy; reduce pain, inflammation, nausea and seizures; relieve anxiety and depression; and may help you get a better night’s sleep. The oil is dark brown and has an earthy taste, and can be taken in a multitude of ways, including under the tongue, with drinks like coffee or smoothies, as gummies or as a vaporizer liquid. Though the taste is not overwhelming, it can be an acquired taste, but Ciotti said husband actually “loves” it. Earlier that afternoon, Ciotti had spent about 20 minutes with an older woman who had been redirected to their bakery after visiting a medical marijuana dispensary. “We just talked her though it, told her our experiences, because a lot of people are afraid to take it because they don’t understand there’s no THC in it,” said Ciotti. The business initially received some backlash from strangers, some associating them with “drug dealers,” but it stemmed from the stigma and miseducation surrounding CBD and some who (incorrectly) believe CBD and THC are the same thing, Ciotti said. But its popularity outweighed the negativity, and the pair has already incorporated CBD oil into other dishes like pancakes, pies, cakes and brownies, and they also sell individual vials of CBD oil. “But we have people who only do the cupcakes,” said Ciotti. But because of the oil’s price, it is a challenge to produce products cost-effectively, said McCarthy. “CBD oil is not cheap, but we do it because we believe in the health benefits,” she said. For McCarthy, the oil helps manage her fibromyalgia, characterized by chronic, widespread body pain and fatigue. 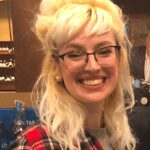 For her husband Tom, it reduces his anxiety, and for Ciotti, it reduces her migraines, and surprisingly, sent her fertility levels to “skyrocket” after her doctor noticed a dramatic increase in her levels following her usage of CBD oil. “There’s just so many health benefits of it that we’ve personally experienced, and now our regulars are coming in and have told us that it’s helping them,” said Ciotti. Dawn said about 90 percent of their customers who have tried it have mentioned positive experiences with it, like reducing pain and getting a better night’s sleep, and have since become regulars, while about 10 percent may not experience any effects — but that is common with any natural remedy, said McCarthy. Each cupcake contains about 20 milligrams, or one milliliter, of CBD oil, used in both the cupcake batter and icing, which is what the pair consider an ideal standard for its medicinal use. “But don’t ask me how many calories are in it,” joked McCarthy. Baking with the oil is “an experience,” said McCarthy and Ciotti, and since baking and chemistry are closely related, the process is characterized by creatively finding balance and blending the taste with different flavors, which take several trial runs and can get messy. “You have to see what it will blend with — it’s been an adventure,” said McCarthy. The pair usually bake around six flavors at a time, including a gluten-free option; so far, coconut chocolate caramel delight cupcakes are the most popular, followed by their German chocolate cupcakes and rocky road fudge. Every morning McCarthy and Ciotti are brainstorming flavor combinations and creations, combing through Pinterest boards or within the cupboards of The Hamlet Diner kitchen, or The North Pole ice cream stand they own next door, for inspiration. “People are always looking forward to what we’re going to have next,” said Ciotti. McCarthy learned firsthand about CBD oil a few months ago when a friend of Ciotti’s started using the oil to wean himself off opioids after hurting his back. The mother and daughter duo soon debuted their first CBD creations — CBD coffee and hot chocolate — on their Fat Bottom Grills food truck in Handshake City. in Utica, a cultural hub/urban park in Bagg’s Square, last October. “That’s when it took off like crazy,” said Ciotti. Thinking it would ignite more interest from the younger “hipster” crowd, the pair discovered it drew an even larger fan base from those over the age of 50. To this day, the pair said this remains true, and a handful of their most frequent CBD oil buyer are even in their 70s. Since they debuted their CBD cupcakes last October, people from both inside and outside the state have visited the bakery — one of their regulars lives in South Carolina and buys a few cupcakes every time he visits the Syracuse area for work so he so he can freeze and save them when he goes home; another customer visited from Oregon after her daughter introduced her to the bakery online. 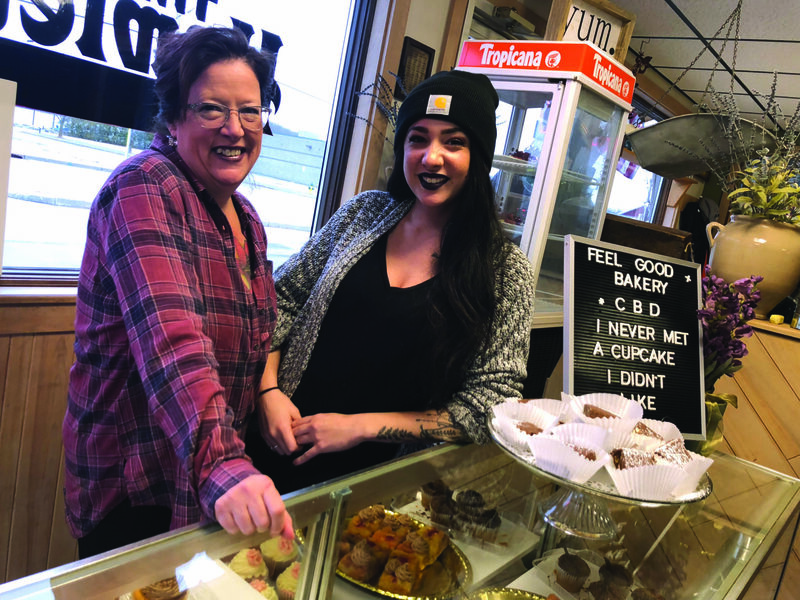 To serve those outside Chittenango, the bakery also plans to start selling their CBD oil-infused cupcakes to a CBD oil shop in Rome, and they also do catering for events like weddings and film screenings. Medical marijuana may be legal in New York, but that doesn’t stop customers with medical marijuana cards from visiting the Feel Good Bakery for CBD oil more often than their local dispensary. It could be that the dispensary is too far, too expensive or lacks guidance, said Ciotti. Because the CBD oil is not regulated, it can also be overcharged at dispensaries, gas stations or vape shops and can contain more coconut oil than actual CBD oil, compared to what is sold at the Feel Good Bakery, the pair said. In fact, a local phlebotomist tested their CBD oil and determined it was the purest that she had come across in the area. It’s probably because their oil provider — Head + Heal — operates from “seed to oil,” doing “everything by hand,” foregoing machine usage because “you lose a lot of the quality and oil,” said McCarthy. “And it’s fresher because they do it more often,” said Tom McCarthy. “It’s so potent,” added Ciotti. Later this month, McCarthy and Ciotti said they plan to create a vegan and CBD menu with its distributers, featuring dishes like paninis with CBD-infused pesto sauce. McCarthy and Ciotti said they also plan to eventually expand to allow the Feel Good Bakery its own space, Ciotti envisioning a comfortable hangout spot with couches and espresso machines. If recreational marijuana becomes legalized in New York, a budding possibility after Governor Andrew Cuomo announced he would push for recreational legalization in the first 100 days of 2019 last December, the pair said they are “on that bandwagon” and will start creating THC-infused treats and dishes “10 seconds after its signed into law,” joked Tom McCarthy. The Hamlet Diner at 620 E. Genesee St. in Chittenango will be closed until Jan. 14 but will open at its regular hours on Tuesday, Jan. 15. The diner is open Mondays through Thursdays from 7 a.m. to 8 p.m., Fridays and Saturdays from 7 a.m. to 9 p.m. and Sundays from 7:30 a.m. to 2 p.m.
Reporter for the Eagle Bulletin and Cazenovia Republican.